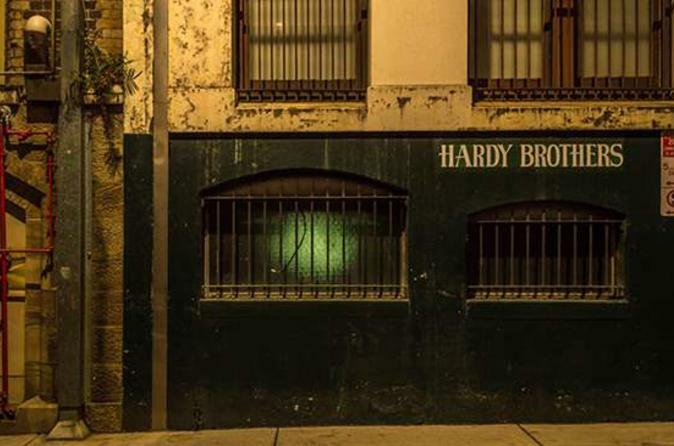 See a sinister side of Brisbane on a convict-and-crime-themed walking tour of the city. With an entertaining guide, learn about darker aspects of Brisbane’s history as you explore sights such as the Old Windmill (a prisoner-built building), the original red-light district and the Brisbane Arcade. Learn about the 1942 riot by Australian and American military members, hear about corruption in the city and discover other interesting historical tidbits as you walk a total of 1.5 miles (3 km). You’ll end with a craft beer or cider at a downtown bar. Your Brisbane walking tour starts at King George Square, where you’ll meet your guide to start your exploration of Brisbane’s underbelly, dating back to 1824 when the city was settled as a New South Wales penal outpost. Check out buildings built by convicts, including the Commissariat Store and the Old Windmill, and walk down Queen Street and William Street to see where the Commandant’s Cottage and Military Barracks lie underneath Brisbane’s stately colonial architecture. While you walk, learn from your guide about the hardships that native Aboriginal tribes faced during this time, and hear about penal colony figures like tyrannical commandant Patrick Logan. Then admire the City Botanic Gardens, a pretty picture in a neighborhood that was once Frog’s Hollow, a swampy, red-light district home to gambling houses, opium dens and unlicensed liquor stores known as sly-grog shops. Continue to the Brisbane Arcade, where a butcher shop was opened in 1849 by Patrick Mayne, a man said to have obtained the means to open his business after brutally killing someone and robbing him of his money. Then head toward Adelaide and Creek streets, where your guide will tell you about the 1942 Battle of Brisbane, a World War II event that saw American servicemen and Australian military members—allies during the war—fighting each other in the streets during a 2-night riot. Finally, walk to the Supreme Court to hear about a more recent scandal—a 1980s investigation known as the Fitzgerald Inquiry, which brought to light police involvement in organized crime and political corruption. Your tour ends when you reach the Queen Street Mall, where, if you wish, you can visit a local bar with your guide to cap your experience with a beer or glass of cider; you are also welcome to purchase other drinks or food at your own expense.